Our cocktail wizards have created a tall and refreshing taste of summer for you. 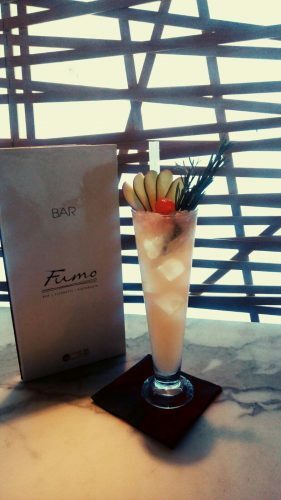 Fumo’s Queen’s Kiss mixes Chase Rhubarb vodka with notes of ginger, apple and lime, poured into a tall glass over ice. Call in and try it or have a go at home, we reckon it would be great one to enjoy in the garden.